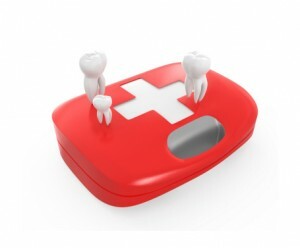 Dental emergencies can happen anywhere, anytime to anyone. It doesn’t matter whether it’s a small tyke or an elderly man, teeth are fragile parts of the body that need to be taken care of with the utmost care. It doesn’t matter how well you practice dental hygiene or how white and straight your teeth are, all it takes is a hard hit from an object or a nasty spill that can change the way your smile looks forever. Forever is a long time and we don’t want you to suffer from any dental damage, so, whenever a dental emergency makes its presence known, let our team in Rockledge, FL handle everything. We’re called Premier Walk-In Dental for a reason; you can come to us for emergency dental service. Dental emergencies are all different. Often, the source of a dental emergency can vary. We’ve seen all sorts of cases involving heavy objects, falling down, accidentally chipping a tooth while biting down on a piece of food, and countless other stories. What we’ve found is that a lot of patients usually experience the same types of dental emergencies, only in different areas of the mouth and under distinct circumstances. Whether a patient suffers from one or a majority of these, there’s bound to be lots of pain involved. Leaving any of these ailments untreated is the worst mistake you could possibly make. You’re basically inviting bacteria to have a giant party in your mouth. Don’t bother sending out invites anytime soon – get treated immediately! Children are more prone to dental emergencies simply because they lead much more active lifestyles. When you’re young, ailments don’t faze you. A lost baby tooth, for example, falls under the dental emergency category and needs quick attention. Because young mouths are still developing, it’s important that any type of trauma to a child’s mouth is dealt with in a swift manner. Time is the difference between saving and replacing teeth. Our walk-in emergency appointments are helpful for those who need immediate treatment. Our Rockledge, FL office can be your knight in shining armor when a dental emergency arises. We happily welcome patients from all over, including Merritt Island, Cocoa West, Palm Shores and beyond.